…What we are trying to say to you is the fear that many of you are experiencing at this moment in time, is nothing more than the remnants of civilizations past, the remnants of you bodies remembrance, and the celebration of your hearts’ knowing. Dearly beloved children of the sun the moon and the stars, dearly beloved star seeds, star people, moon people and sun gods, we come to you today to reiterate the importance of the journey that all of you our dearly beloved light workers have chosen for yourselves at this moment in history. A history that is unfolding and changing with every beat of the moon, with every beat of the sun, with every beat of your hearts. We are here to reassure you and to inform you that all is well in the universe, that all is unfolding as it should. We know that many of you have been feeling fear and panic, many have been overwhelmed and engulfed by a number of various heavy energies surrounding your heart center. Many have had heart palpitations and fear rising from your very core and spreading throughout your body. Fear that most of you could not constrain nor stop. Roller coaster of emotions that swept you off your feet and completely blinded your higher self. An emotional tsunami ripping at your very core and heart and soul of existence. All of this is but a normal reaction to the universal truth that your bodies are being bombarded with at this very moment in time. The universal truth of Freedom, Self Power and Self Reliance. The universal truth of Love, Light and Peace. The universal truth of ONENESS with each other, the universe and the eternal OM. The energies that your bodies were and still are affected with are such as to allow the rapid transformation of your psyche for more and more of us, your galactic brothers and sisters are entering GAIA’s planter system. And so, another massive awakening of the sleeping souls and the penetration of the outer layers of the atmospheric convergence is about to be experienced by you all. What we are trying to say to you is the fear that many of you are experiencing at this moment in time, is nothing more than the remnants of civilizations past, the remnants of you bodies remembrance, and the celebration of your hearts’ knowing. For indeed in your heart you are feeling the changes, deep in your heart you know that new era is upon you. Deep in your heart you know that all is well in the universe, but alas in your mind you are in fear, yin panic. Many of you are lost, many of you cannot seem to get grounded, but grounded you must get. Anchor yourselves into your mother GAIA as strongly as you possibly can, for the waves upon wave of massive energetic uplifting of the planet is about to occur. Everything in he last few weeks has indeed been a rehearsal and a preliminary exercise as many of you were being conditioned to withstand a massive influx of energies that are about to sweep your planet and yet again awaken those that are sleeping. For just as the onion has many layers, so too does the process of mass ascension has many layers, and it is not possible to awaken everyone at once for there will be a massive shock and the shock of fear will reverberate throughout the universe and reach the outer skirts of this magnificent universe thereby affecting each and every single soul embodied in various incarnations at this moment in time throughout your universe. And so, we say onto you that you are to remain calm, remain calm and steady, breath deeply and walk with your bare feet on the ground as much as possible, for you are greatly needed yet again. For the call for your anchoring of the new energies is upon you. For we are calling you to your positions once again. And by that we mean that you are to anchor these energies into the earth NOW. Yes indeed there is much more for us to say to you dearly beloved children.. We would like to once again draw your attention to a simple act that will assist you and those around you and that is to stay in – BALANCE. For there is no fear, fear is simply an illusion, it is your body’s reaction to the unknown a pre-wired reaction of flight or fight technique ingrained in your DNA for survival of your vessels. Let us explain to you further the inner workings of your DNA and how the new energies are affecting your vehicles. All of this is occurring on your subatomical level, and thus your consciousness is not aware of the various communications between your cells and the cosmic rays from the central sun that passes through the seven heavens of the Pleiades and arrives in your own sun and then delivered to you through the rays of the sun and offshoots of the moon. And so when such cellular conversation is taking place, your consciousness is not aware, but is only aware of the emotional component that comes with these waves of energies. For the waves upon wave of fresh new information which carries within it the vibration of truth that your body is simply not accustomed to is activating the dormant layers within your DNA code. Thereby increasing the activity of cells that have not been active for EONS! These are the cells within your DNA structure and chromosome structure that were responsible in times past for your direct connection to the divine., for your direct connection to the source and the memory of all that was, is and will be. And so, the cellular memory is reactivated, and is replenished with information that serves the purpose of your cells to awaken, and to communicate with the rest of your body. This activation forces your cells to push out all the “untruth” that you have learnt throughout your present incantation and the incarnations of those that came before you and whose DNA memory you carry within your human vehicles. And so the cellular structure of your energetic portals, and the energy field around you are acting as magnets, repelling each other. Until such moment when both will stabilize and the truth will finally be delivered to your consciousness, you will experience fear. This whole process is what is causing you to feel fear, for new way of life, new understanding of the cosmic laws of creation and existence are being introduced into your systems. New ways which are replacing the old ways, and your body is naturally resisting to this change, for it knows not what is to come, and is holding on to the only thing that it knows and that is 3D consciousness. And as this process is happening in your body it is causing you feel jittery, insecure with no knowledge of where you stand, for truly you are not grounded as this occurs. This is what is meant when we say to you that you are receiving another DNA upgrade. And we are noticing that to many of you this process appears as something of a volatile nature, for you are experiencing much discomfort, nevertheless please understand that such discomfort is indeed necessary for your bodies to restructure themselves into new modes of “transportation” if you will. The question that many of you are asking us is why not just design new bodies and incarnate new souls on the planet, earth why must all souls go through such pain and discomfort as they ascend into a new dimensional structure. And the answer to that is simple.. YOU, ALL OF YOU HAVE CHOSEN for this to happen, for the point of this magnificent experiment, that all of you have decided to be a part of, was for you to find your way out of a dark labyrinth without any recollection of truth in order to test your own powers and abilities and to completely and fully ingrain the understanding in your very beings for all eternity that YOU ARE GODS – ALL OF YOU – ARE THE CREATORS OF YOUR OWN DESTINIES! Such time has indeed come, and we are here to simply assist you in moving forward with your missions, of finding your way into the light. For that which is transformed from darkness carries a much greater vibrational frequency, than that which was born out of light, for once the cycle is complete and light is transformed into darkness and back into light it gains such magnitude and such high proportions that it is able to CREATE NEW UNIVERSES! And thus, it is highly important that you all recognize that what you are going through is simply an upgrade, a necessary evil if you will. For you must release the old constraints, and you must release yourself from old feelings and attitudes and untruths. And thus, you are to go thorough all of this at this moment in time. Be prepared children of light, those amongst you who are the anchors of this new energy will especially be affected at this moment, for your bodies are being flooded by more information packets than the others, and you who are completely calm at all times, you who have the deep connectedness to the divine are indeed finding yourself in a much more turbulent state of than those of you are who are not acting as anchors but distributors of this light. And so we ask you to remain calm, to simply understand the process and have your body to accept the new energies and not meet the new energies with fear. Do not simply sit there in fear mode, that is not the way for you to go, for all of you have access to various modalities within your structure and to various external remedies designed by your very own light workers who have come before you that can assist in re-balancing you and uplifting your energies. And by that we mean the use of gemstones, flower essences, and various other such modalities. Nevertheless you are mostly to focus on GROUNDING yourself and by that we mean not only standing with your feet on the ground but also immersing yourselves into various activities that truly make your heart SING and help to boost relaxation, joy, freedom and love. 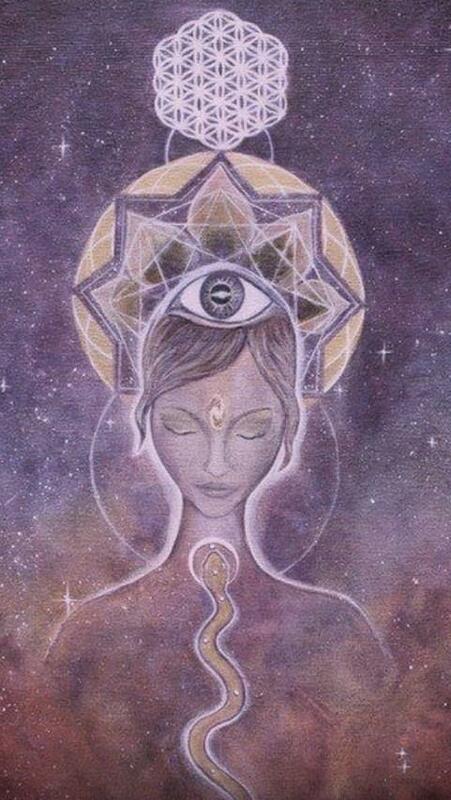 *Anna Merkaba is not an M.D. or licensed medical professional. She does not diagnose or treat medical conditions and does not consult or advise about such conditions. Energy healing and vibrational therapies are performed as complementary practices to relieve stress and to clear and balance the body’s energy fields. While these practices can enhance and strengthen the healing process at all levels, they are not a substitute for appropriate medical care. It is the responsibility of each individual to seek and utilize a physician’s care and advice for medical conditions. This entry was posted in Anna Merkaba, Aquarian Shift, Ascended Masters, Awakening, Divine Love, DNA upgrade, Gaia, PLEIADES HIGH COUNCIL, Sacred Ascension. Bookmark the permalink.